Last week, Chief Minister of Meghalaya Conrad Sangma called up Hemanta Biswa Sarma regarding Citizenship Amendment Bill 2016. Apart from being the Deputy Chief Minister of Assam, Hemanta Biswa Sarma is playing the role of a National Convener for the North-East Democratic Alliance (NEDA). Sangma advised Sarma to withdraw his support towards the bill. Sikkim Democratic Front, PPP, and NDF have already withdrawn their support. 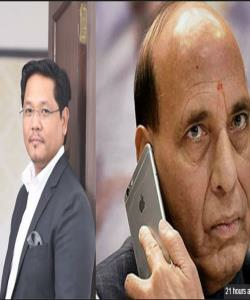 Sarma informed about the call from Sangma to Amit Shah, to which Shah reverted (as sources say) that the parties withdrawing their support then they will see a downfall. Shah advised Sarma to not to take any such step. Not just Sangma, ten other small groups/ parties are also standing up against the bill.